Crews were not disappointed with the action that ensued. The timing was perfect with a hot patch of billfish producing a contest record 91 hook-ups, resulting in 41 tagged marlin and six weighed. There was excitement aplenty as quadruple, treble and double hook-ups were called. The quadruple strike happened to the twohanded crew aboard Blondie, resulting in a huge spiderweb of line and not one fish accounted for. In more leisurely fashion the Blondie boys tagged and released a fish later in the day as some compensation. Dale Gutry and his son found themselves in a similar situation with a treble hook-up to deal with. Two marlin fell off leaving just one still attached. It came dancing into the back of the boat and after missing the first tag shot, they prepared for another but unfortunately the swivel broke – no tag, no photo, no glory! The Bloodshot crew had better luck, managing to hook up a double and get tags into both fish. At times it was chaos with multiple fish being played at one time in a relatively small area. On day one there were 35 hookups called, with 16 billfish being tagged and three blues weighed. The second day was slightly less hectic, producing 11 tagged fish and three weighed from 24 hookups. Three crews managed two T&R’s on day two – Plumb Crazy, Big Red and On Ice and at this stage top boat honours was going to be a close call. On day three the weather produced choppy conditions and the boats were fishing hard, trying to chase down the Kalevu crew who were leading with three tagged and released marlin. Plumb Crazy and Big Red added to their tallies with some new boats hitting the leaderboard – Luv It, Code Zero, Euro and Femme Fatale – with just one fish in it leading into the fourth and final day after 20 hookups and nine tagged fish resulting. Day four and the weather had turned for the worse, making fishing conditions difficult. Blue Bay was on fire, tagging three kingfish, but by mid-day there were no marlin called in. At this stage the boat to beat was Plumb Crazy who were one marlin ahead (450 points). The top three boats all fishing in rough conditions all in sight of each other – you could feel the tension in the air. It was team Plumb Crazy’s lucky day – the 3.00pm hooter rang and they had done it, taking out the ‘top boat’ honours with 2250 points from five tagged marlin. The team donated just under $4000 of their winnings back to the local Beachlands charitable trust Helping Hands. The billfish total for day four was four tagged fish from 12 hookups. The Clevedon Game Fishing Club heavily support tag and release fishing so the club are super proud with a new tournament record being set for billfish accounted for. There were many smaller species caught, too many to record in this report. 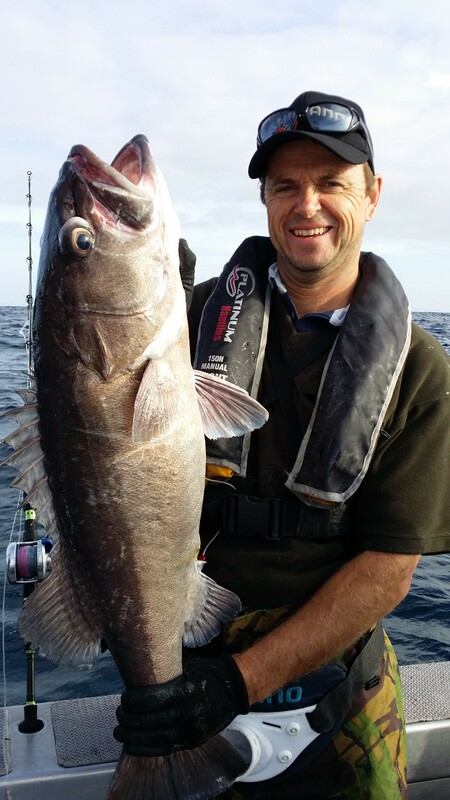 One notable effort was the team on board Seclusion who took out the snapper section with some Barrier monsters.